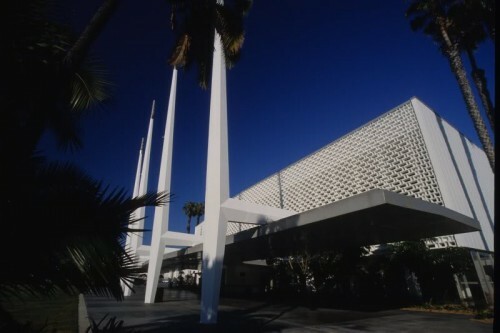 Welton Becket's 1958 Santa Monica Civic Auditorium, once a beacon of midcentury optimism, this weekend shuttered its doors. The bending, intricately ornamented auditorium hosted several Academy Awards in the 1960s, as well as concerts by the likes of Eric Clapton, Frank Sinatra, James Brown, Ella Fitzgerald, Prince, and Bob Dylan. But the facility recently fell on hard times, as bands gravitated to larger venues (leaving it mostly hosting trade fairs), and as a planned $52 million renovation was recently cancelled when California abolished its Community Redevelopment Agencies. 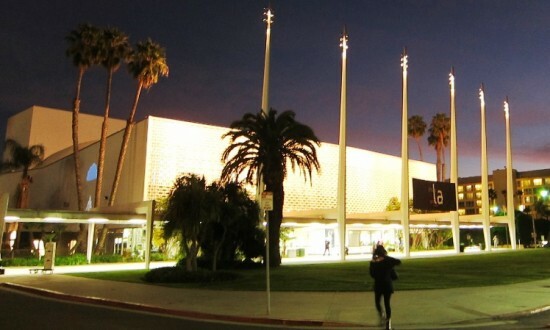 Santa Monica Civic, a working group strategizing the venue's future, told the LA Times that it will take several months to develop a new plan for the landmarked structure, including film screenings, live theater, or even restaurants.